Oklahoma City Thunder rookie forward Mitch McGary suffered a broken foot in Wednesday’s preseason game against the Denver Nuggets and is expected to be out 5-7 weeks. First reported by Darnell Mayberry of The Oklahoman, McGary suffered the injury late in the preseason game and was receiving treatment after the game. McGary finished the game with 14 points and 4 rebounds in an impressive debut. Thunder rookie forward Mitch McGary will be out 5-7 weeks with a fracture in his left foot. The injury occurred Wednesday at Denver. The 21st pick out of Michigan has had a history of injuries. After surprising everyone with his performance in the 2nd half of his freshman season in college, McGary took a step back his sophomore year while recovering from back surgery. Since being drafted, though, he has been reportedly healthy and working out in Oklahoma City. Finally. After eons of waiting, the time has arrived. Well, not really the real time. That would be reserved for 20 days from today. But real enough to follow a GameCast of the game on ESPN. Real enough to catch highlights on NBATV. And real enough to begin complaining about Scott Brooks and his lack of offensive imagination. 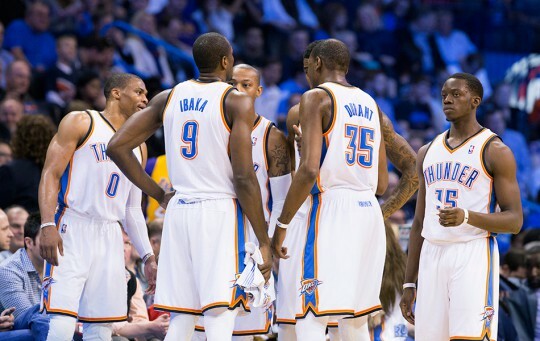 The rest of the season for the Thunder begins today. 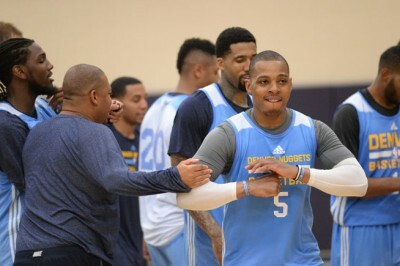 The Denver Nuggets come into the game having already played one preseason game. They lost to the Los Angeles Lakers 98-95 in Kobe Bryant’s first game in action since an injury riddled 203-14 campaign. 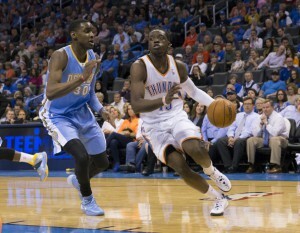 The Thunder are set to face their Northwest Division rivals four times this season. 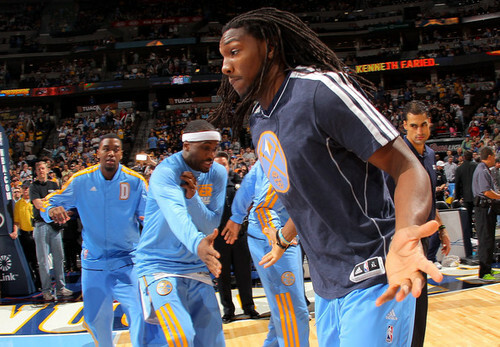 The Nuggets are looking to build off a season that saw four rotational players miss significant portions of the season due to significant knee injuries (Danilo Gallinari, Nate Robinson, JJ Hickson, and JaVale McGee). 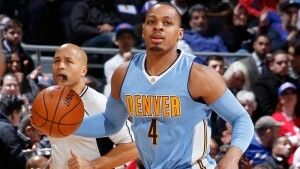 The Nuggets are two years removed from being the No. 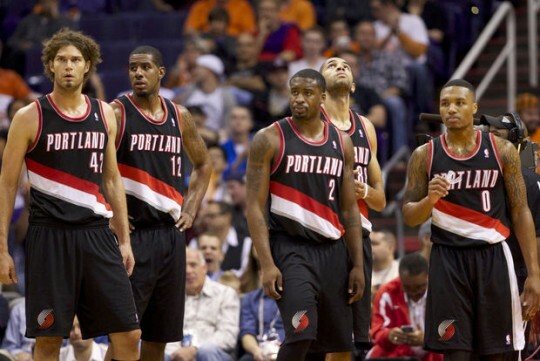 3 seed in the Western Conference heading into the playoffs. That team featured a lot of the same players that are still on the roster. 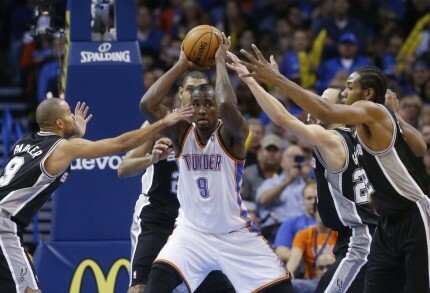 The offense is spearheaded by Ty Lawson. The prodigal son, Arron Afflalo, returns after getting traded back to the Nuggets in the offseason to bring them defensive stability on the perimeter. Up front, Kenneth Faried and Timofey Mozgov form an energetic duo that gets most of their points off rebounds and garbage baskets. Off the bench, the Nuggets will probably try to play their rookies Gary Harris and Jusuf Nurkic to get them some in-game experience. 1. 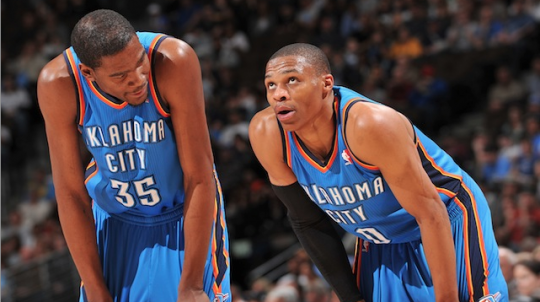 SG battle – This preseason will be about deciding who will start at SG for the Thunder. Roberson seems to have the edge on Jeremy Lamb and Reggie Jackson, though. 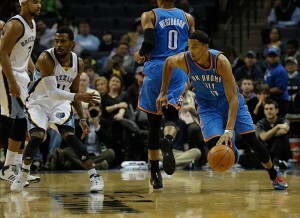 He started 16 games for the Thunder last season and outplayed Lamb in the Blue and White scrimmage. 2. 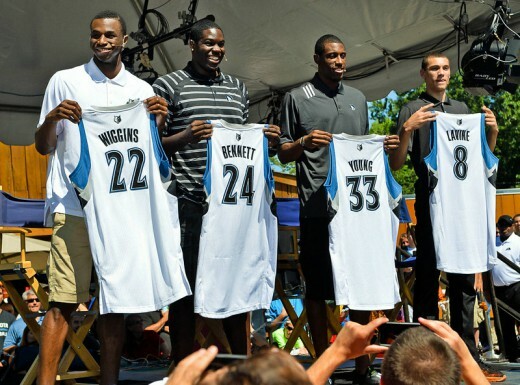 Young guys – Mitch McGary, Grant Jerrett, and Perry Jones should see some action this preseason. 3. Ball-movement – The talk about the offense coming into every season is always about the increase in ball-movement. 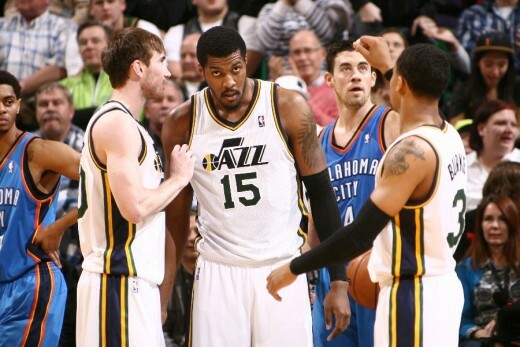 Yet, anytime the going gets tough or when the game is on the line, the offense always reverts back to iso-ball. BONUS – 4. Don’t get hurt – It’s the preseason. We are playing for June. It’s a good thing that the Oklahoma City Thunder and their fans have had at least a day to decompress from what was a crazy game on Friday and the subsequent “awaiting the MRI results on Russell’s knee” on Saturday. Thankfully, the Thunder won the game in double overtime against the Raptors and Westbrook’s knee sprain showed no further damage to the knee. Even better, Durant’s performance in that game (51 points, 12 rebounds, 7 assists, GW 3-pt) pretty much sowed up the MVP award for him. This is the fourth and final meeting of the season between these two teams. 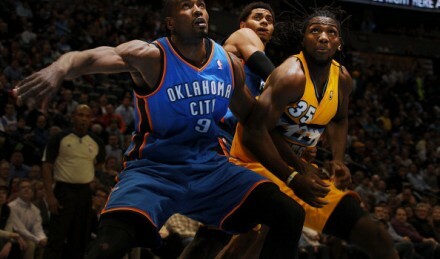 The Thunder lead the season series against their division rivals 2-1. 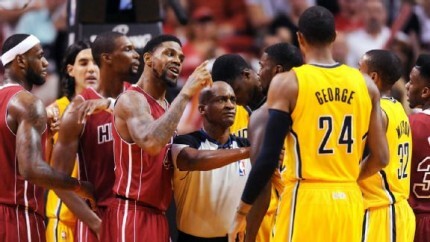 Games between these two teams usually come down to the 4th quarter with the point guards taking over the show. Although ACL only has three letters in it, it might as well be a 4-letter word in Denver. With Danilo Gallinari, Nate Robinson, and now, J.J. Hickson out with ACL injuries, the Denver team is a shell of what it was expected to be in the beginning of the season. The Nuggets, currently at 32-38, are out of the playoff hunt for the first time in the last 11 seasons. The team does a good job of scoring points (103.9 per game, 9th in the league), but allows too many defensively (105.8 ppg, 28th in the league). The offense is spear-headed by point guard Ty Lawson, whose break-neck style leads to many points in the paint and many open looks on the perimeter for shooters. On the wings, Randy Foye, Wilson Chandler, Evan Fournier, and Darrell Arthur are usually the beneficiaries of Lawson’s ability to get into the paint. In the post, Kenneth Faried is one of the more active rebounders in the league while Timofey Mozgov is a big mobile body that can carve out space and score if given the opportunity. Due to injuries, the bench for Denver is a bit muted, but Denver was one of the deeper teams to begin with and still has a decent bench that features Aaron Brooks, Fournier, and Arthur. 1. 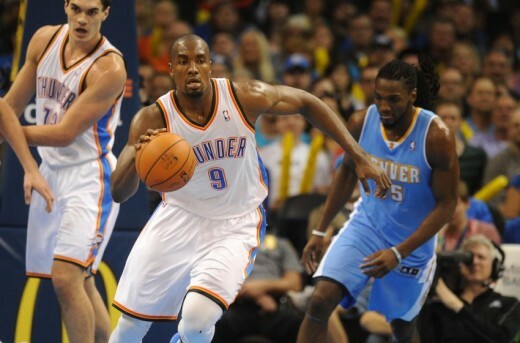 Rebounding – Denver’s rebounding took a hit with the loss of J.J. Hickson. But, Faried and Mozgov are still 2 of the more better rebounding bigs in the league. Faried has 9 games of 13 or more rebounds and Mozgov has 8 games of double figure rebounding. If the Thunder are disciplined in boxing these two out, they can hurt the Thunder with offensive boards in the same way that Hickson would have. 2. 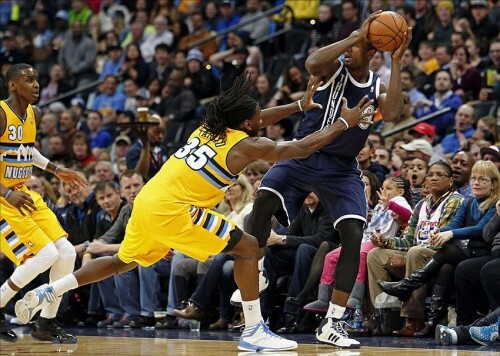 Dribble Penetration – Ty Lawson causes the havoc that ignites Denver’s offense by getting into the lane. I would start Roberson on Lawson and put Reggie Jackson on Randy Foye. Jackson has trouble staying in front of quick guards, but does a pretty good job of recovering on shooters, due to his wing span. 3. Durant – Against a defense that gives up the 3rd most points in the league, what show can Durant put on against the Nuggets?